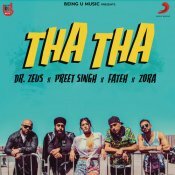 BeingU Music are proud to present the eagerly anticipated brand new smash hit single released by Dr Zeus entitled “Tha Tha” featuring Preet Singh, Fateh & Zora Randhawa! “Global Injection” the brand new Dr Zeus album is coming soon! !